Dinosaur Comics - October 30th, 2017 - awesome fun times! –Instead, we can do something else, and trade for delicious cow parts instead! 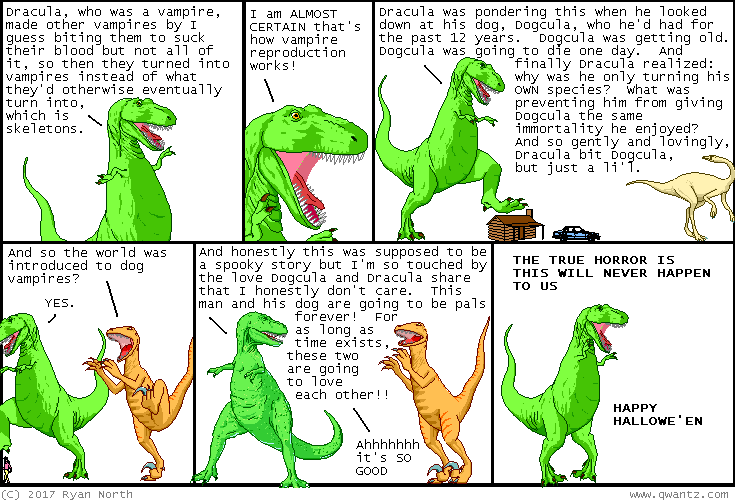 October 30th, 2017: I believe everything in this comic is 100% Dracula canon. I know a lot of things about cartoon character canon.